Roman Borgman is a professional opera singer and instructor of staging, style and interpretation. He has a Master's Degree of Opera Performance from the Bulgarian National Conservatory. He was a soloist for many years in the Stralsund Opera Theater in Germany. 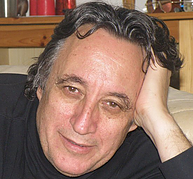 Maestro Borgman is the Founder and Artistic Director of La Forza dell'Opera (www.laforzadellopera.com), through which he helps artists bridge the gap between a conventional voice education and a professional career on the operatic stage. While mainly interested in opera, he has successfully introduced his bel canto approach to singers of other musical genres.